Here on Chasing Foxes, we’re all about side hustles; jobs that you can start on the side and eventually make into a full time gig. Now it can be a lot of work (we would know), but it’s a lot better than putting in a lot of work to make someone else’s dream a reality while yours go nowhere. 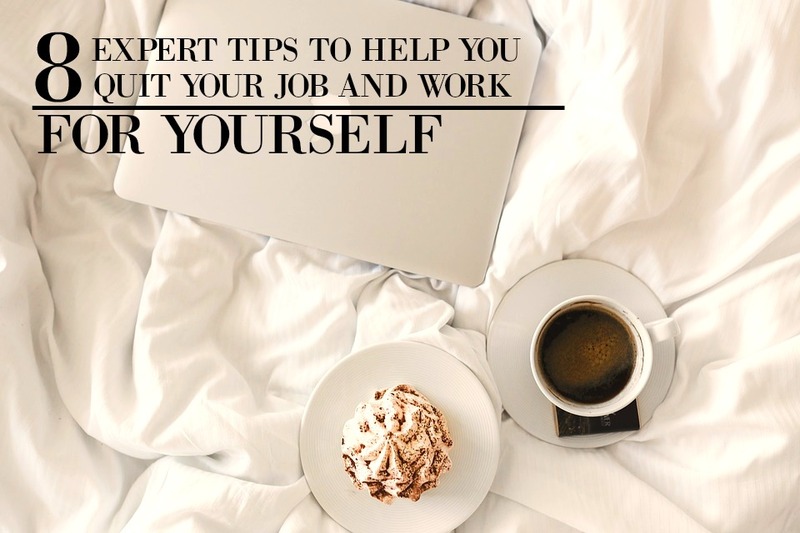 Now there are plenty of work from home ideas and jobs you can do, but we found some awesome stories and tips from some inspiring people to help you get started. Down below we include just one of their best tips and a link to the rest of their story and advice (just in case you want to know more). It can be pretty hard getting started which is why many of us need all the help and hacks we can get to move closer towards our goal. In fact, if it wasn’t for other people’s stories and side hustle tips, we would never have started this blog. So we hope that you find these tips below helpful, and let us know what you think in the comments! Housesitter: Ok, so you’ve probably heard about this one, but here’s why it’s awesome. If you sign up for sites like TrustedHousesitter, start sitting peoples homes (in your area) here and there for a few months, you’ll have quite a few reviews and experience under your belt. And then, you can take it to the next level; start applying for people’s houses in different countries and start to travel full time (no joke). One couple started to do it and got so good at it that their flights were paid for when they went to housesitting gigs. Check out some good tips on how to do it here! Read more on some great side businesses here! Now I thought this was great. Her tip; start small and make a budget. Her’s was $75 (which goes a long ways at the thrift store), and then she went to thrift stores in wealthier areas since they were more likely to give away more expensive brands. Now that’s some good information. Check out the rest of her story and advice here! Vintage Video Games: Stalk the video game section of a thrift store and see if you can find a vintage video game that’s from an outdated video game system. Then check it out online and see how much it’s going for (sometimes it can be worth thousands). This can be a great way to make a side hustle if you follow some of these Buzzfeed tips. Read more on other thrift store goods that can be worth a lot here! Jessica Larrew first started as an Ebay seller, but then switched to Amazon when she found out she could make more money with less of the hassle. Her trick? She started doing retail arbitrage. So instead of getting clothing from the thrift store, she would fill in the gaps of retail items people wanted but Amazon didn’t have, then sell them. She finds these items from liquidation stores; places where items are on discount because manufacturers won’t sell them anymore (think T.J. Maxx or Big Lots). Read more on her story here! A virtual assistant is basically a person who helps someone run their online business or blog. So if the work is overwhelming for someone, they might hire a person like you to help them out. Now this author does state that there are plenty of different virtual assistant positions you can take (she gives a list of them), but her tip that I like is to take a class in one that you’re interested in. So for instance; if you want to do photography/graphic design, take a class in Photoshop and then apply for a position. Then you can get hired, get paid, get experience, get more gigs, and make it into a full time job. Read more on her tips and information on becoming a virtual assistant here! Basically you find the errors in search results so that companies like Google can have a better search algorithm and find exactly what the searcher is looking for. Her tip is to look for job offers on sites like Leapforce, Lionbridge, or Appen Butler Hill. If you land a position, you can have a work from home job that allows you to get away from the regular 9-5. Check out more tips and the pros and cons of being a search engine evaluator here! This mother started an Etsy store called Three Bird Nest and her tip was to not focus on the product more than the service and how you’re going to market the product. This is what differentiates you from so many other sellers on Etsy. She tells us that you have to put a lot of time and effort into your shop, or things will take a long time to launch. You get what you put in. Read more of her awesome tips on Penny Hoarder here! Starting a side hustle is no small feat, but here’s one last tip. If you use all the time you’d spend on Facebook on your off time to research and start a part time gig (even if it starts out slow), you’ll be so much further ahead in a year. You won’t be still stuck in that same job and even if you are, you might just be ready to leave it. Trust us, we put in the work to start a blog and a few months later, we were ready to quit and travel. Now if you have any questions or any tips yourself, let us know in the comments below. We’d love to hear them! Absolutely love your page. I have wanted to start a blog for a few years now, but never have done it. Reading your posts definitely inspire me to really pursue it. Thank you so much April, I’m so glad I could help you! I want to retire next summer. I love to read. Can I find a stay at home position where I can read and still earn a decent wage? Do What would it take to land a proofreading position for several authors or companies? Surely there is a need for that out there. I’m way past being proficient in IT terminology or wanting to go back to school for medical coding. What would you suggest? Hey Linda, check out this link. It’ll show you different place where you can apply for a proofreading job. If I wanted to start a blog, what blog hosting site would you recommend? Or would it be better to just buy my own domain? Wow, I live in Guatemala I don’t think none of this ideas would work for me 🙁 besides I’m only good at writing. This was awesome information, I have been wanting to do this for a very long time but don’t know where to start. I will definitely keep this info. Hey Tina! I’m glad you liked this post! If you want a place to start, then I’d definitely check out my posts on how I got started working from home. Here are just a couple! What a neat post, thanks for sharing! I’ve wanted to start a blog for a while, but I feel like I’m not creative or eloquent enough to do it. Or even to narrow down a nich for it. I love drawing comics and have 2 small kids. Do you think people would really want to read a blog about either? I have a Tumblr account but would I have to pay for a blog instead? Sorry for the barrage of questions, and thank you for encouraging others! Hey Katie! I’m so glad I could help you out! I’ll start off with the paying for the blog question. It’s super important if you want to make money with ads and put in affiliate links (so you get paid for your hard work!). Check out this post that’ll guide you step by step in starting one up with Bluehost (makes things so much easier haha). If you love to make comics, then I’d definitely check out people like The Oatmeal or Sarah Scribbles (you can find them on Facebook). They’re both hilarious and know how to attract an audience. Start studying them and how to get a following with comics, I know you can do it! I hope I was able to help you out, and if you have any other questions, feel free to ask away! Thanks, this was helpful! I am looking to start a blog but I don’t know which direction will help me to start earning income. I have a background in early childhood education for fifteen years but I have a great passion for food and the culinary arts. Which do you think would b the better blog? Thanks again! Hey Rachel! I would definitely explore the culinary part of blogging. Study the big food bloggers like Pinch of Yum and Half Baked Harvest. Get a good feel for how they do things and start to take notes on how you would present your blog. It’s the first time that I am visiting your blog and this is so good. I came to this page through Facebook page of MakingSenseofCents. It’s really a good read for me. As I am connected with thousands of work at home moms, I am going to share this on my social channels. Great job!! This is a very inspiring post. Thank you so much for posting it. I also have been thinking about blogging and Etsy for crocheting and crafting. I just feel like there are so many crocheting blogs and DIY blogs and shops out there that I wouldn’t be able to stand out. And for blogging my fear is what if I can’t put out quality content EVERY SINGLE TIME. I guess I have a lot of fears and maybe just need to do it!! Just don’t know where to start. But I think I will definitely start taking the first steps. Lynne, I applaud you for taking these first steps towards starting your own business. I know that it was for us as well. The more you do it, the better it will become. We were certainly not perfect when we first started out – and we’re not perfect now. Not every time you swing it is going to be a home run – but every time you hit a home run its going to be because you decided to swing. Many of you are on facebook buying stuff in the garage sell groups. When I was living in Orlando, Fl People did not have a place to git rid of their unwanted furniture and items no donation place picked up and because people move to Florida and move much of the stuff goes out to the curb. I started driving around sun eve and picked up before the trash man on monday morning. I sold the stuff on facebook groups, Offer up and craigslist. Then I also got into buying storage units from auctions. Storagetreasure.com list all units all over the United States. When I was on facebook I would see three or 4 people wanting one item and knowing only one person would get it I would look for that item and list and sell quickly. I made 300.00 on a “bad” week and 800.00 a week on a “good” week. I never really put 25 hours in at all! Hope that helps! Hello, I have been desperately searching for a legitimate way to make money remotely from home for close to a year now. Do you have suggestions on where to look. I want to be home more for my girls and set my own hours. Thanks for sharing! It is so great that the Internet provides so many options to work from home! This was so helpful! There is something for everyone’s talents! I am 24 about to have my 1st child, and will no longer be able to keep my job. what do you recommend ?